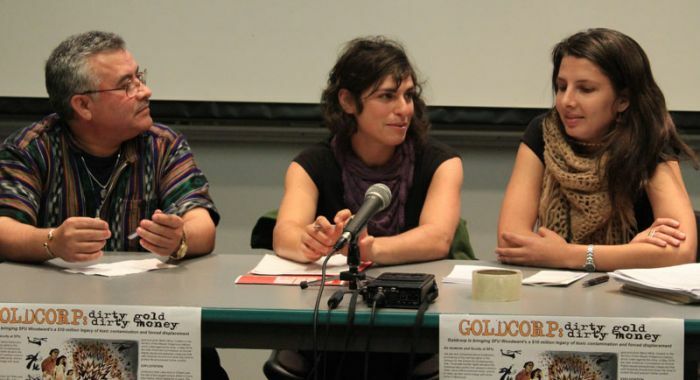 The link above is to Dawn Paley's talk from the October 25 event about Goldcorp, Gentrification, and the corporatization of the University. Click here to see a PDF copy of her slides. Click here to listen to Wendy Pedersen's talk. Click here to listen to Myka Abramson's talk. Click here to listen to Bayron Figueroa's talk. 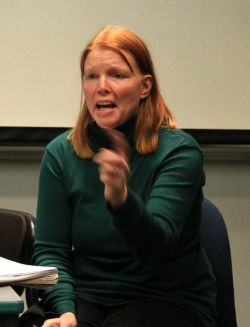 the Teaching Support Staff Union at SFU; and more. environmental crimes of the Vancouver mining giant, Goldcorp. communities of the Maya people. Goldcorp claims that they considered the welfare of the "depressed"
mining corporation was welcome in the community, or at our school. something the University is doing to the neighbourhood, not with it. explicitly, and overtly express our collective rage, right in front of the Woodwards building.